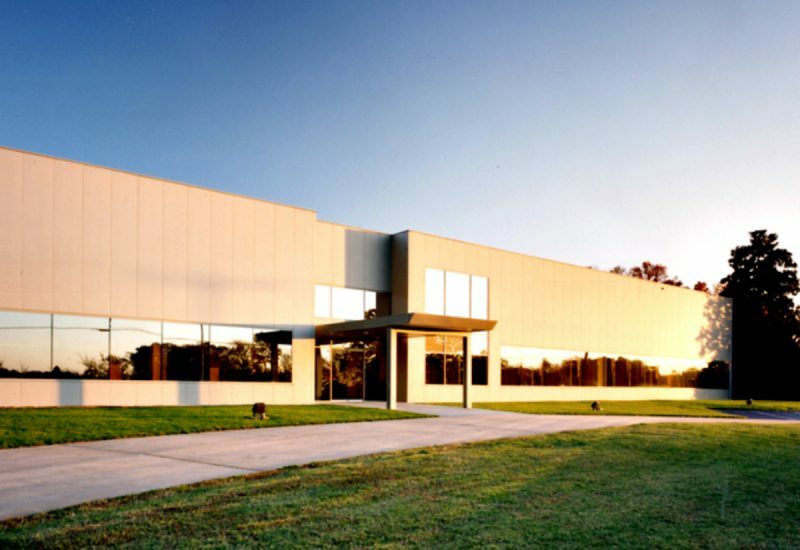 J•PA’s renovation of this 95,000-sf manufacturing plant created comfortable, thoughtfully-designed office and conference space as well as an efficient fabrication plant to support Gamewell’s specialized operations. 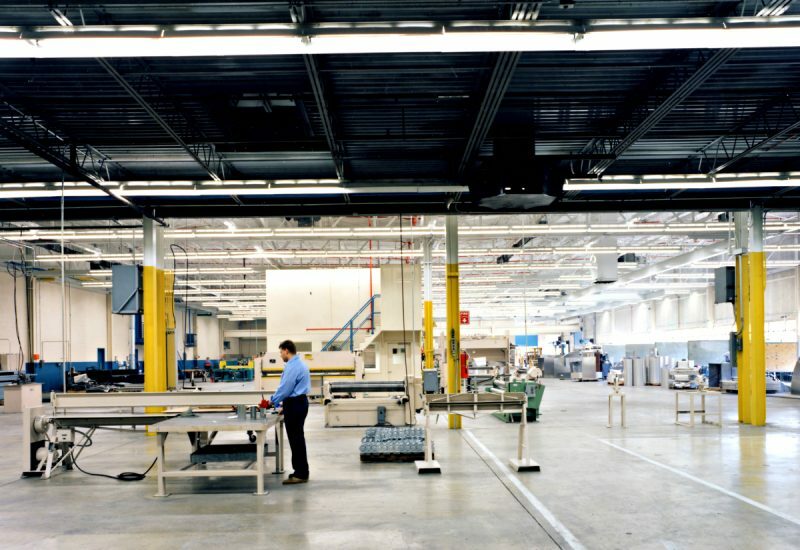 The 75,000-sf fabrication area features flexible high-bay space to support the company’s expertise in industrial, manufacturing, and process industries, with particular emphasis on the fabrication of specialized ductwork and piping for advanced technology facilities. Offices occupy two floors and total 20,000 sf. A second-floor conference room overlooks the entry and features an architect-designed conference table. The lobby features a granite floor and a custom stainless steel stair fabricated by the client. The building exterior is sheathed in metal panels and tinted glass, bringing light into the building interior.